Home / غير مصنف / Solar Storm 2018: What will be affected by the solar geomagnetic winds? Solar Storm 2018: What will be affected by the solar geomagnetic winds? Solar particles have been heading towards us ever since a solar flare triggered by an event known as a coronal mass ejection (CME) blasted roughly one billion tons of plasma from the Sun. And while it could also mean the Northern Lights, or aurora borealis, are possibly visible as far south as the north of Scotland, experts have warned there could be other, less welcome side effects. Scientists have warned the geomagnetic activity could wipe out satellites, power grids and mobile phone signals. 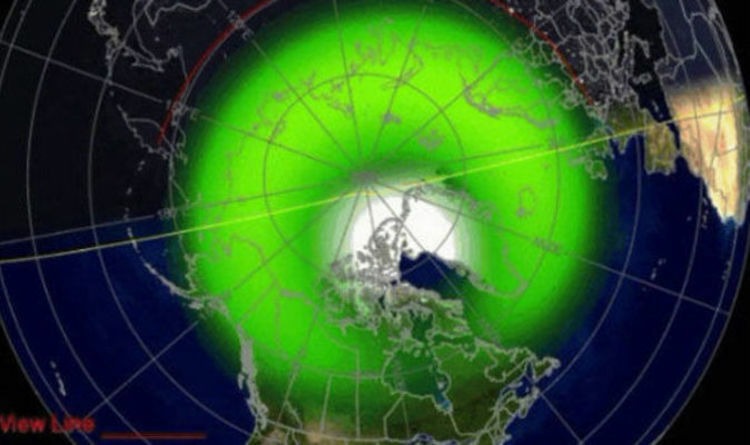 A statement on the US-based Space Weather Prediction Centre said that during solar storms, the ionosphere, or upper Earth atmosphere, is heated up to such an extent that it could cause “extra drag” on satellites in low-earth orbit. The Space Weather Prediction Centre said: ”The local heating also creates strong horizontal variations in the ionospheric density that can modify the path of radio signals and create errors in the positioning information provided by GPS. The most powerful solar flare ever recorded was also the first one to be observed, on September 1, 1859, by British astronomer Richard Carrington. It was visible to a naked eye (in white light), and produced stunning auroras visible as far down as Cuba and Hawaii – as well as setting telegraph systems on fire. The flare left a trace in Greenland ice in the form of nitrates and beryllium-10, which allow its strength to be measured today. It has since been discovered that solar flares are common occurrences. Other similar events were recorded in 2001, 2003, 2005, 2011 and 2012, 2013, and 2014. With the modern world’s increasing reliance on technology, solar flares consequently pose bigger problems in the 21st century than they did in the 19th. Scientists writing in the journal Space Weather have suggested that a 2001 power failure in New Zealand was caused by a solar storm. Writing on the earthsky.org website, Deborah Byrd said: “Storms on the sun are a natural occurrence. They have been happening for billions of years. “They are not dangerous to our human bodies on Earth’s surface. But they can affect some earthly technologies, such as power grids and satellites in orbit around Earth. “If the effects of a particularly large solar storm were headed toward Earth, we would know several days in advance and have time to prepare. “Scientists are beginning to become more aware of this issue, with an eye to preparing for such an event.